Every Monday I post a photo of cherry blossom, taken in Japan or London. 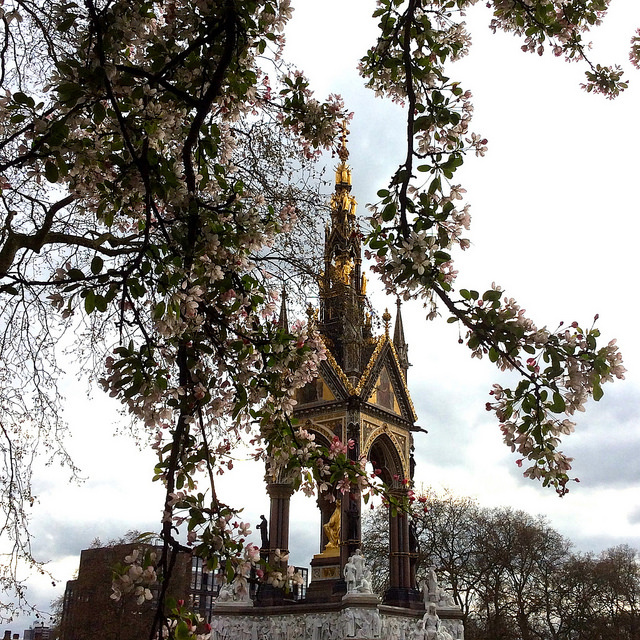 I took today’s picture at the Albert memorial in London in 2014. This entry was posted in Cherry Blossom Monday and tagged Cherry Blossom, flowers, International crime, Josie Clark in Japan Mysteries, mystery and thriller, nature, photography, plants, The Cherry Blossom Murder by Fran. Bookmark the permalink.